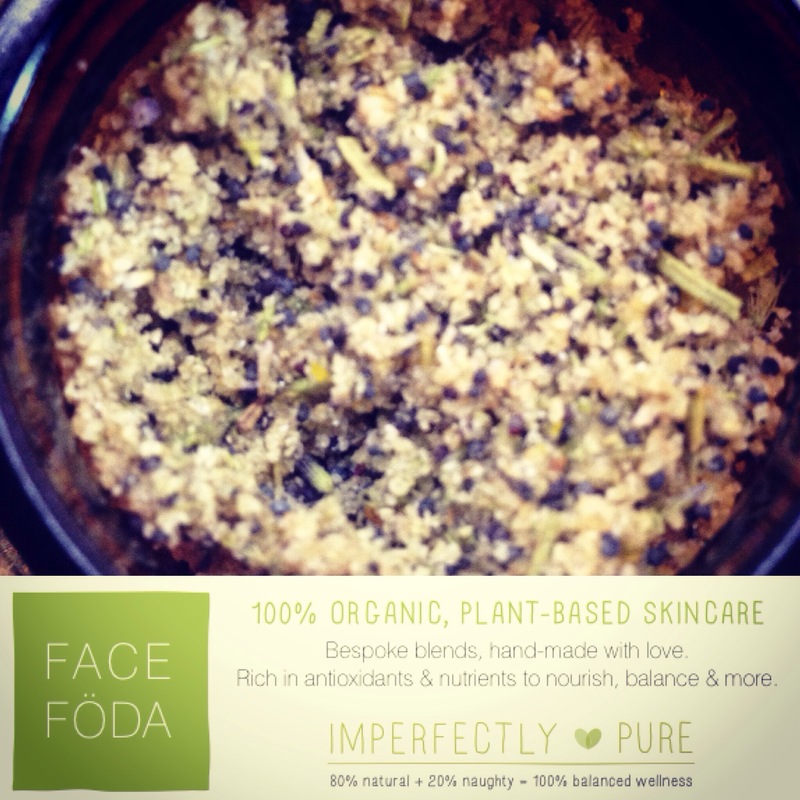 I recently completed a Natural Skincare course at the College of Naturopathic Medicine, and am now proud to offer my own range of 100% organic, plant-based, bespoke skincare, Face Föda. Each blend is custom-made for the individual and I am constantly learning and seeking out new oils, waters and herbs to use! Some of my favourites the moment include Pomegranate seed oil, Lemon Kernel Oil, Turmeric Oil, Peppermint Water, Rosemary Leaves and Bamboo 🙂 I strongly believe in nourishing the body from the inside out, and that includes skincare. Using plant-based truly natural ingredients doesn’t mean that glowing radiant skin needs to be compromised, in fact quite the opposite. For those who prefer a holistic and natural approach to wellbeing and beauty, using products containing chemicals on a regular basis can feel incompatible with the choices we make about our food or environment. The skin is the largest organ in the body, made up of more than 100 billion cells. It performs a number of life-sustaining tasks. Incorporating plant-based oils into your skincare regime will result in some amazing benefits! When we put chemicals on our skin, there’s really no opportunity to filter them out and so they’re absorbed into our blood, organs, tissues, and cells. The excess dead waste can accumulate in the liver, contributing to health problems over time. Start thinking about skincare as a way to feed and nourish your body with the essential fatty acids it craves, to keep your skin healthy, supple, and rejuvenated! You will also boost your immunity! Essential oils have antiviral, antibacterial, and antifungal properties, to protect your skin. Applying oil to the body also serves a vital cleansing role, helping to draw out toxins whilst also helping calm the nervous system so the body can move from stress-fighting functions to rejuvenating functions. When the nervous system is at rest, the cells can better repair themselves. I look at it like this – why would I want to put something on my skin that I am not happy to eat or drink? Because the end result really is the same, whether you apply it to your face, or eat it, the ingredient will end up inside your body. 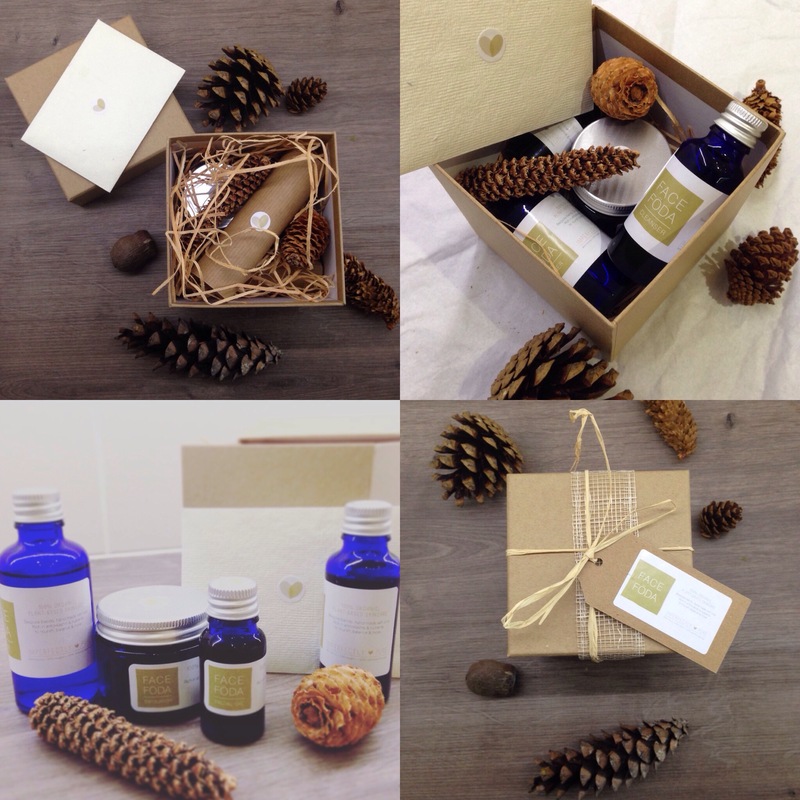 Starter Pack: Each box contains 4 products wrapped in recycled packaging. The boxes are £50 + P+P.